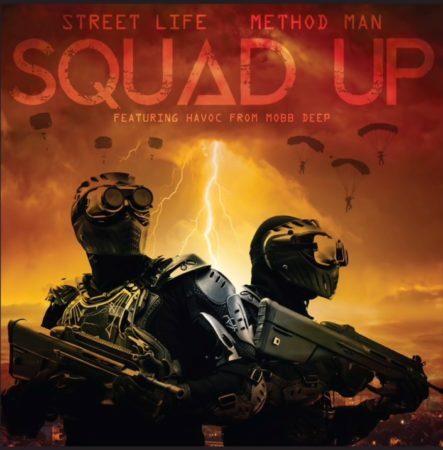 “Squad Up” is from Street Life and Method Man’s forthcoming album out this spring on Street Education Records / Distrolord Inc. More details on the release will be revealed soon. Street Life and Method Man’s relationship spans back to their childhood days in Staten Island, and while the two have collaborated on music for decades, this is their long rumored first official full-length album together. Street Life played an instrumental role in writing the hook to Method Man’s 1996 “I’ll Be There for You/You’re All I Need to Get By”, featuring Mary J. Blige which won a Grammy Award for Best Rap Performance by a Duo or Group. He has been featured on all of Method Man’s albums, and all of Wu Tang Clan’s albums (except for ‘Enter The 36 Chambers’).